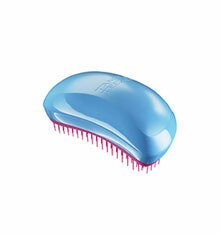 Pick up your day with Tangle Teezer Elite Blue Brush. It boasts a duo of blushing colours to brighten up your preening routine. 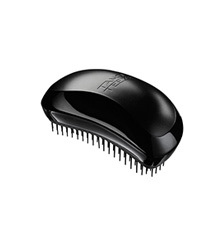 The ease of getting rid of knots without mistreating and damaging your hair is simple with the Tangle Teezer. Its unique convex teeth glide through the hair, detangling wet and dry hair without pulling and tugging. The creative concave design completes your haircare regime leaving hair preened and polished with a brilliant shine and super smooth. Awesome brush that works well on my really fine hair which gets a lot of knots in it. I use it when my hair is wet or dry. Can't get enough of these brushes!